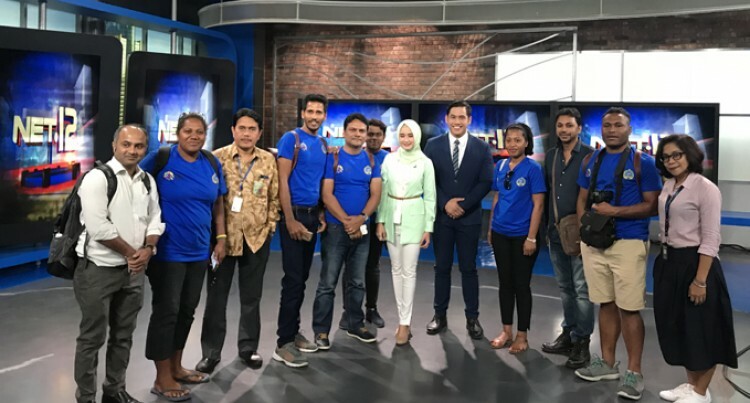 Journalists from Fiji (Fiji Sun’s Fonua Talei, ninth from left), Bangladesh, India, Papua New Guinea, Sri Lanka and the Solomon Islands at the Net TV Station in Jakarta, Indonesia. Fiji Sun senior journalist Fonua Talei was among 10 journalists from Fiji, Bangladesh, India, Papua New Guinea, Sri Lanka and the Solomon Islands who were part of the Journalist Visit Programme (JVP), organised by the Indonesian Ministry of Foreign Affairs from July 22 – 31. During the course of 10 days the group of journalists visited different cities in Indonesia, including Jakarta, Labuan Bajo, Bali and Yogyakarta. Fake Facebook profiles and ‘Fake News’ continue to cause problems here. But in thriving Indonesia an online news media source is showing the credible digital way. Senior journalists from Bangladesh, India, Papua New Guinea, Sri Lanka and Solomon Islands recently saw how. Time at detik.com was part of a Journalist Visit Programme organised by the Indonesian Ministry of Foreign Affairs. 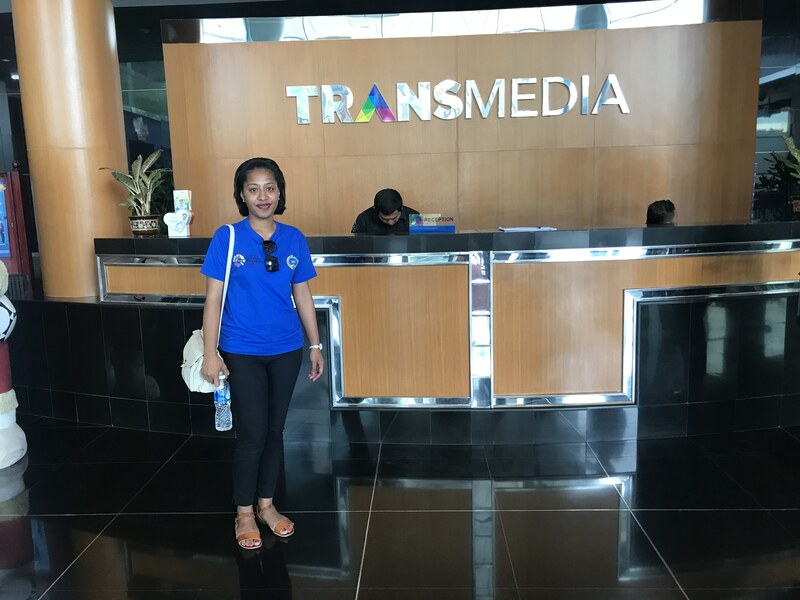 It came as our visit included Trans Media, one of the major Indonesian media companies and an operator of leading TV stations. detik.com is now owned by Trans Media. But it was founded by journalists back in times more than two decades ago when Indonesia was still under authoritarian rule. The journalists who founded it in the infant days of internet news did so with strong principles of reporting the truth. It is a legacy that continues today. Today detik.com employs a total of 300 young and vibrant staff members who work shifts to provide the Indonesian online public with breaking news. With more than four million Facebook followers, according to its director there’s a saying in Indonesia that “If detik.com did not report it then it is not true”. Thus, is the influence that credible online news has on people in this day and age. detik.com record a total of five million-unit visitors to their website every day. The second media organisation that we visited was NET TV. Fiji Sun senior journalist Fonua Talei at the Trans Media office in Jakarta, Indonesia. NET TV is an Indonesian television station network that airs programmes aimed for family and young viewers. Nearly all news organisations in Indonesia communicate to their audience in the local Bahasa language with only a handful operating in the English language. The most read English newspaper in Indonesia is called the Jakarta Post followed by the Jakarta Globe. Indonesia’s news media is now rated amongst the freest in Asia. Across this vast archipelago many new newspapers and broadcast stations have opened. Here at the Fiji Sun we recently had an example of the impact. Webco – the newspaper press company from New Zealand – supplies, installs and trains people to use our equipment. Webco had so much work in Indonesia with the growth of newspapers there that it established an Indonesian subsidiary. Recently when we expanded our press at Walu Bay engineers from Webco in Indonesia were amongst the team who came to do the installation. Yet another example of how Indonesia’s news media have grown. In print. On air. And online.